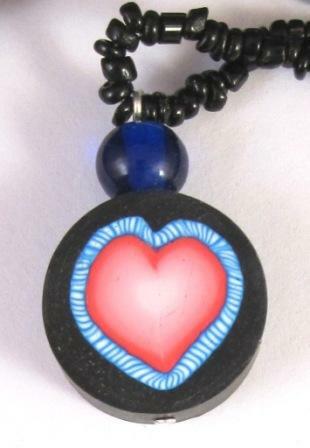 Today’s necklace is a heart-cane bead, on a string of black rocaille beads. Lesson learned today: the string is waaaaaay too long. 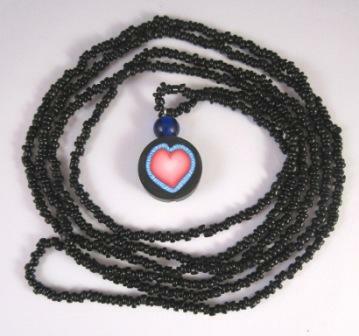 I bought it a long time ago just as a plain black necklace, so I am being lazy by (1) not stringing my own beads in the first place, and (2) not adjusting the length and re-tying the necklace.